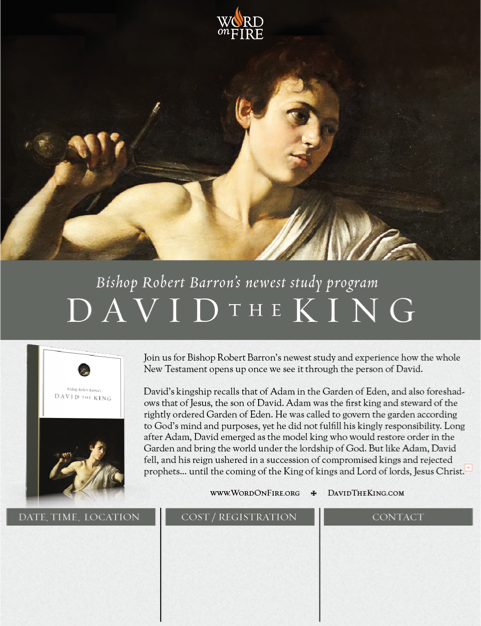 Probe more deeply into Bishop Barron’s message using the David the King companion Study Guide. 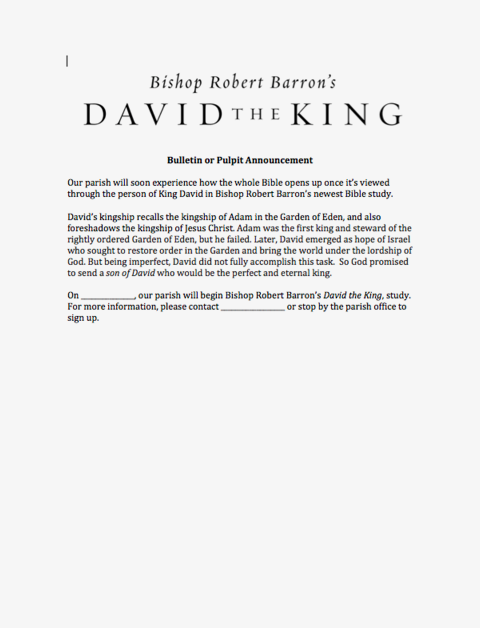 The study commentary was compiled under the direction and approval of Bishop Barron by theologian Dr. Jacob Wood. Participants read the commentary in their Study Guide and prepare the questions before the small group discussion. This preparation can be accomplished either before or after viewing the video. 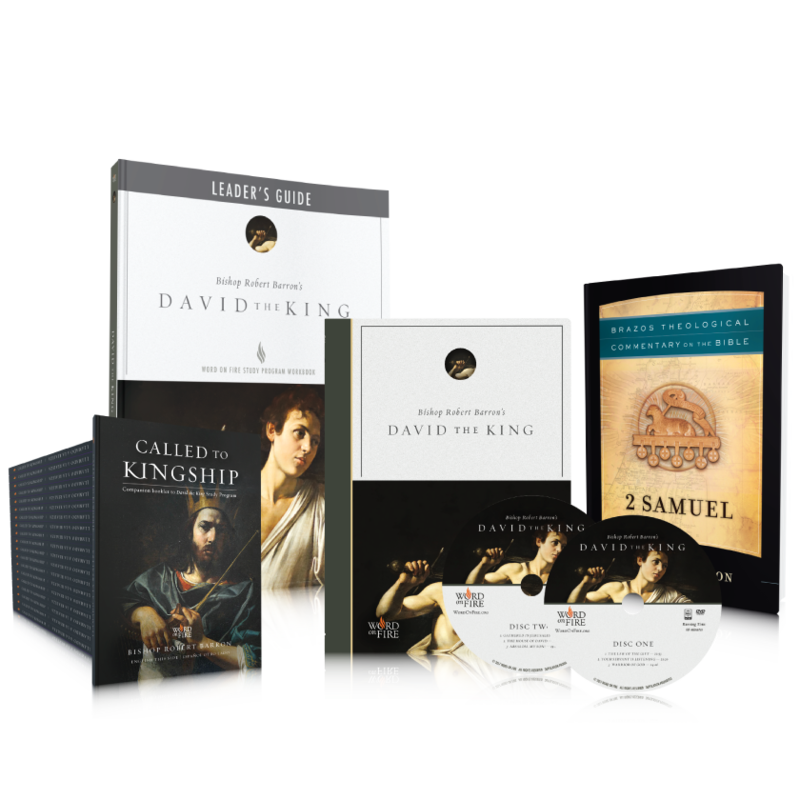 Delve into this new series with the complete Study Program materials to understand King David and Christ as the fulfillment as the King of Kings. 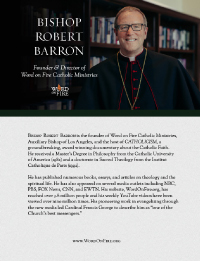 These study materials were written by Dr. Jacob Wood, associate professor of Theology at Franciscan University of Steubenville, under the direction of Bishop Barron. 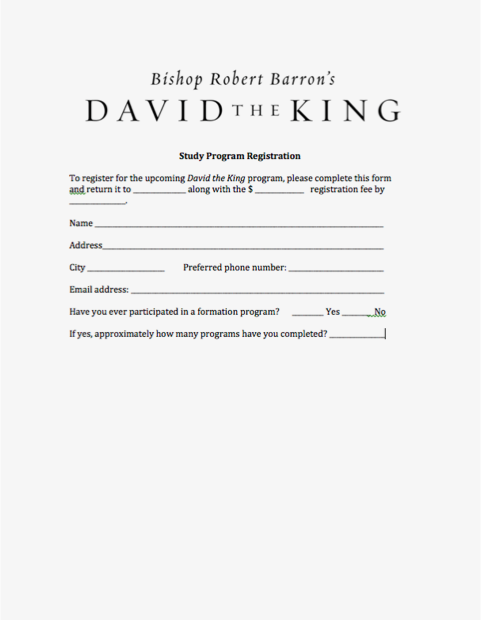 Meet during seven 90-mintue sessions to explore the Davidic themes of Kingship in the Old Testament and their fulfillment in the New! 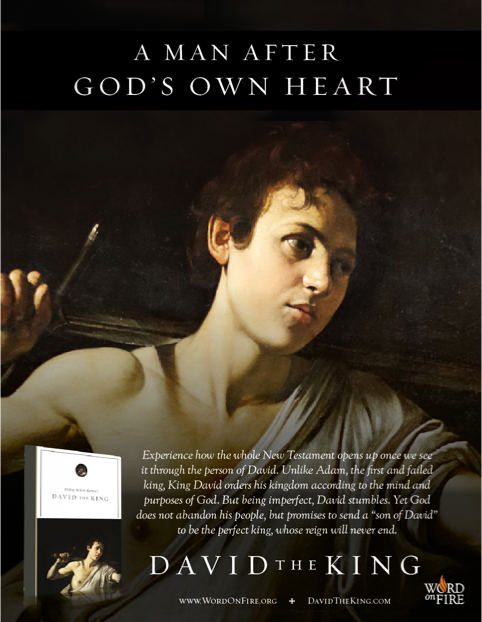 Each section of the study guide provides a detailed commentary on the DVD and “Questions for Understanding" based on the presentation, Scripture and the Catechism of the Catholic Church. 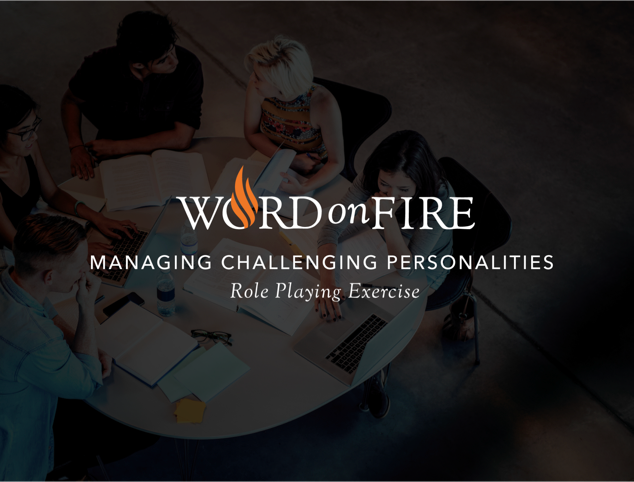 Each section also includes “Questions for Reflection" that help you connect the material to your own life and experience. Each session includes DVD viewing and small group discussion of Study Guide questions. 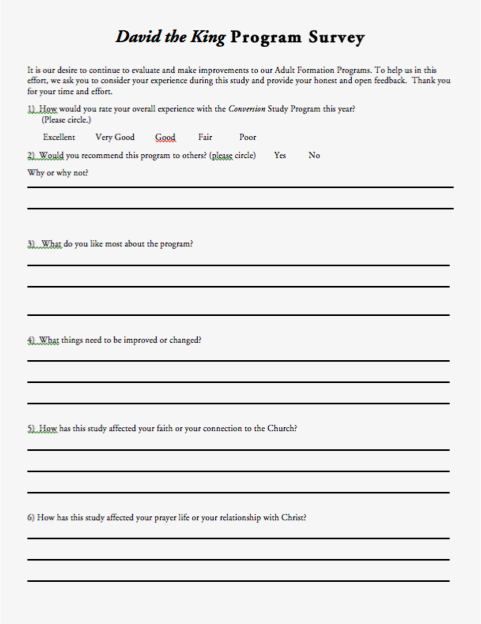 Participants read the commentary in the study guide and prepare the questions before the small group discussion. 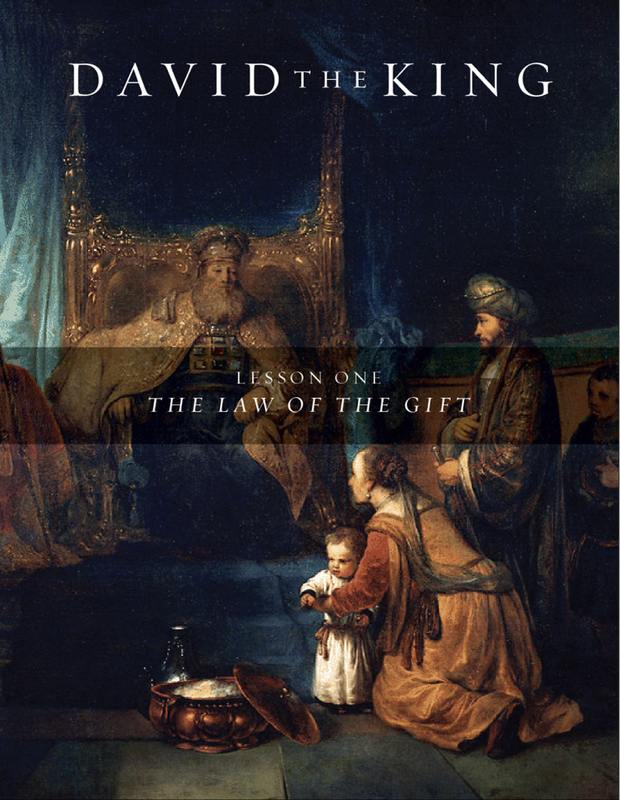 This preparation can be accomplished either before or after they view the DVD, as the Commentary in each lesson is very detailed. Leaders can also register for a FREE online training which teaches the best ways to run an effective study group. 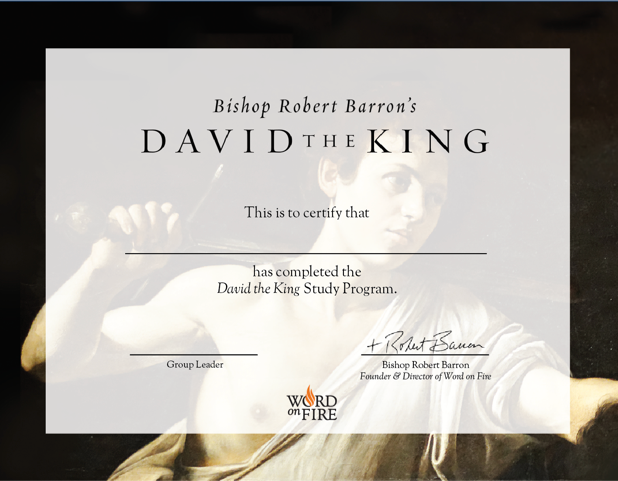 Register for a FREE webinar to learn how to effectively run a David the King study program, or to get an overview of the other programs from Word on Fire.